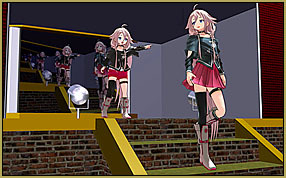 Build Your Own Stage For MMD Using SketchUp! 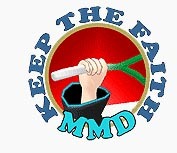 … and we fine-tune it in PMDE! it was a real thrill! forming on a stage that you built yourself. 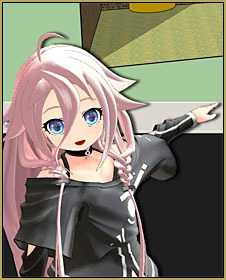 Plus, with software like SketchUp, it is really easy to do and this is what I will have Chibi IA teach you in the rest of this article. 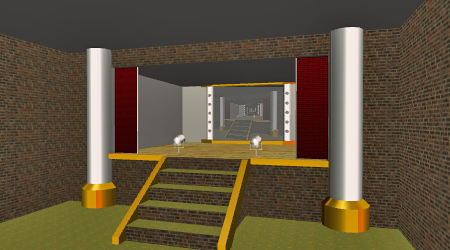 If you go through the steps outlined in this tutorial, you should be able to end up with a model like the stage illustrated below and honestly, the design is a tribute to the stage that first got me started building stages for MMD: the original LearnMMD Auditorium Stage. And if you’ve got this far, do ‘play’ with your own creation. I do that all the time with the stages I make; partly to test them, but just as much, it is a lot of fun to use your own ‘stuff’. So whilst building the model for this article and writing the accompanying tutorial I ended up taking a detour and wound-up with one of my favorite MMD models, the rare Super Sonico model by Eto reprising one of my favorite songs on this stage. If you are a complete beginner to 3D modeling, a good start is to also watch the video tutorials by the SketchUp Team that shows you how to use SketchUp tools efficiently. It only takes about an hour to watch them all and I highly advise that you do so to get the most out of the software, but like I’ve already stated, its easy enough to get started with SketchUp just by playing with it for awhile. SketchUp is not free. $695 USD! SketchUpPro costs $695 USD. SketchUp Make is free.